In the executive, managerial and professional labor market, unemployment has been hovering around 2 percent, leaving companies across many industries struggling to find top talent. In a survey conducted by The Wall Street Journal and executive advisory group Visage International, University of Michigan economist Richard Curtin discovered that "the biggest challenge confronting firms is their need to expand hiring in an already-tight labor market." As a result of increased competition for high performers, employers are now more willing to make concessions to move their organizations forward. Someone can have exceptional educational and work backgrounds, and still fail at your organization if they aren’t a good cultural fit, or if they don’t share your core values. Think about the type of person who will fit in among your employees - the mentality they’d need to thrive and the interpersonal skills that will help them become part of the team. 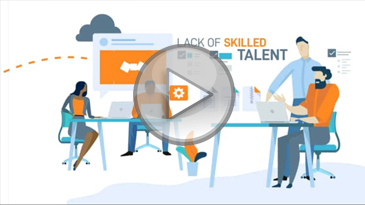 In a down market, candidates will be less demanding and more flexible with employers. But in today's market, applicants have numerous options, so it is imperative that that the way employers approach them and the advantages that are offered give candidates every reason to want to join a company.